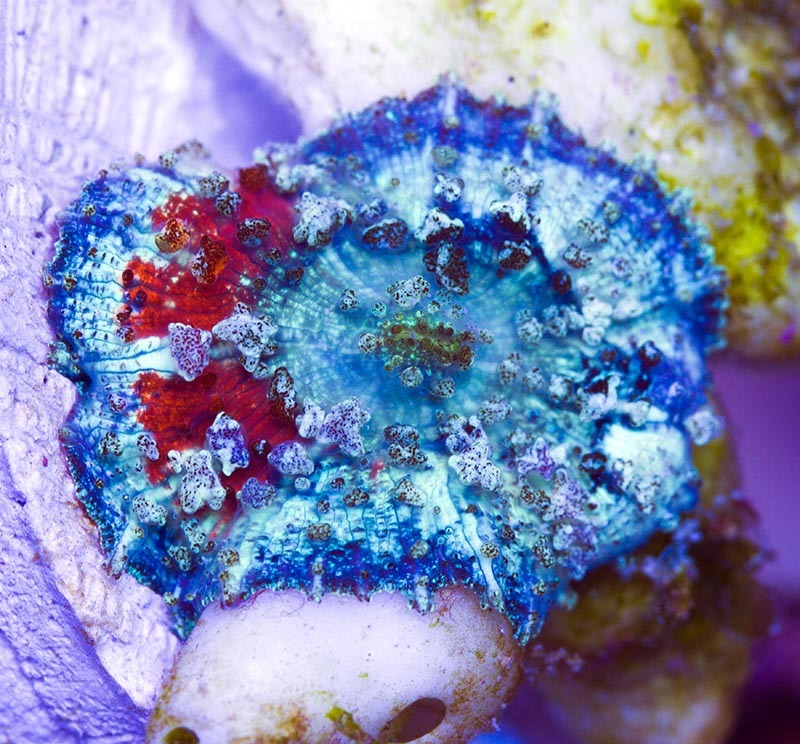 Readers of the 2017 MACNA Book were treated to an insider’s look at the “Ludicrous Chalice,” collected and brought into aquaculture this year by Bali Aquarium. 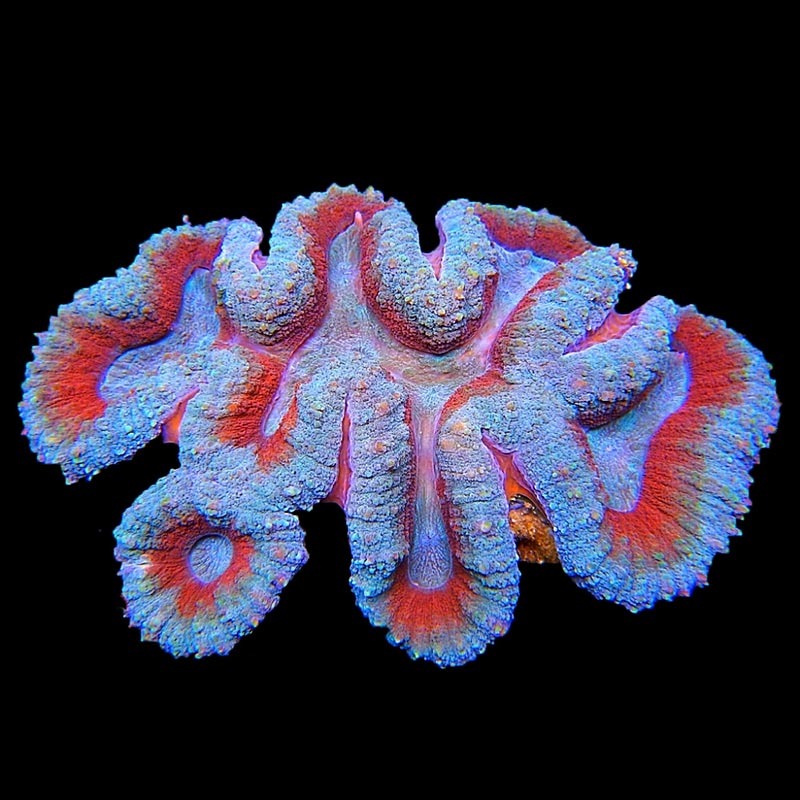 Notes: This is an extremely colorful variant of the common Aussie Acan. 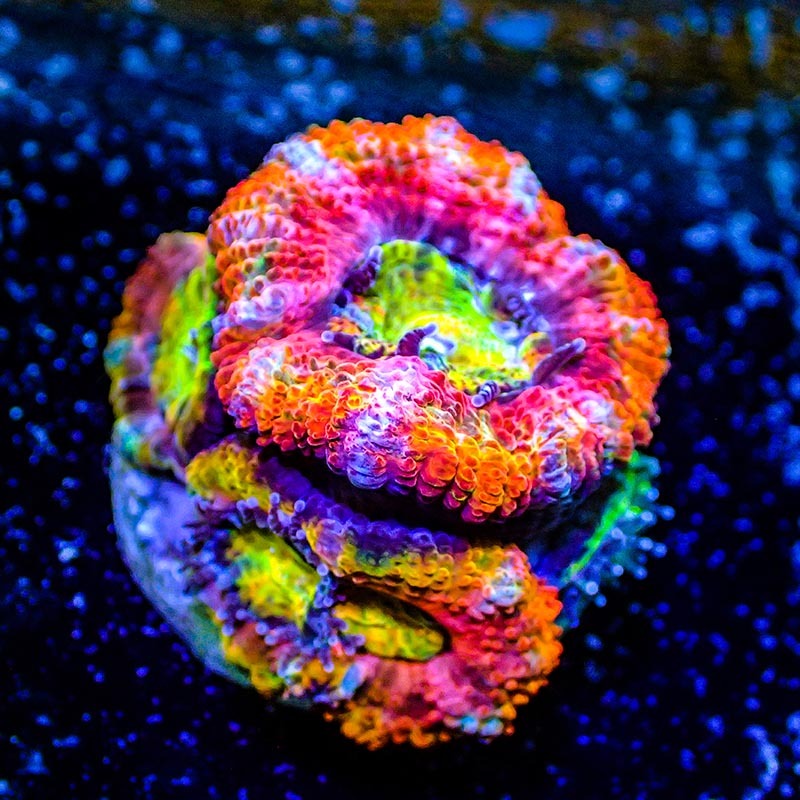 Keep in moderate light and feed heavily for the best growth and colors. 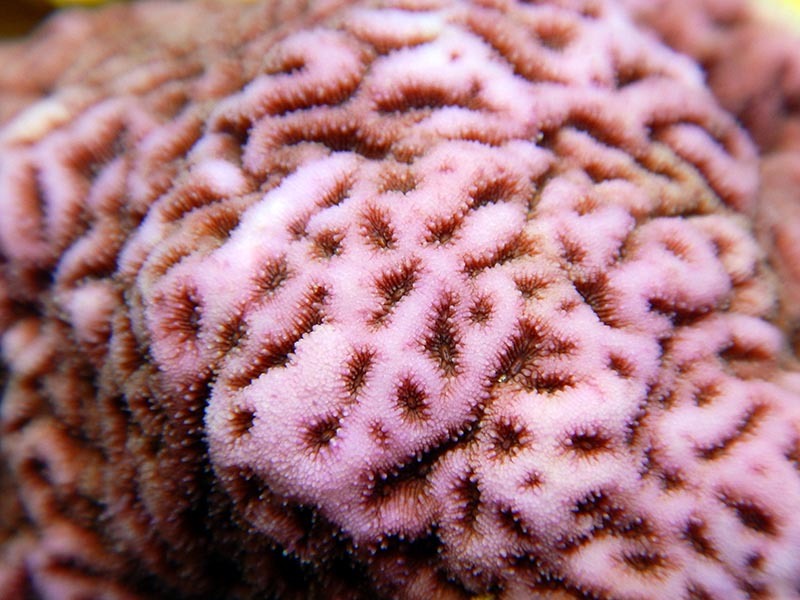 Notes: Discoma neglecta are slow-growing corallimorphs. 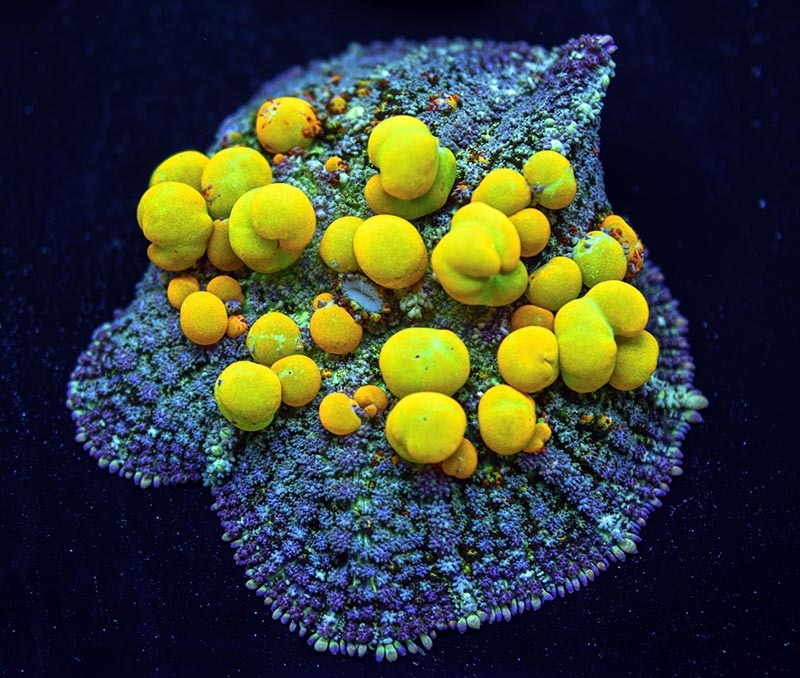 Brightly colored morphs like this one are extremely rare; most display color combinations in shades of green and brown. 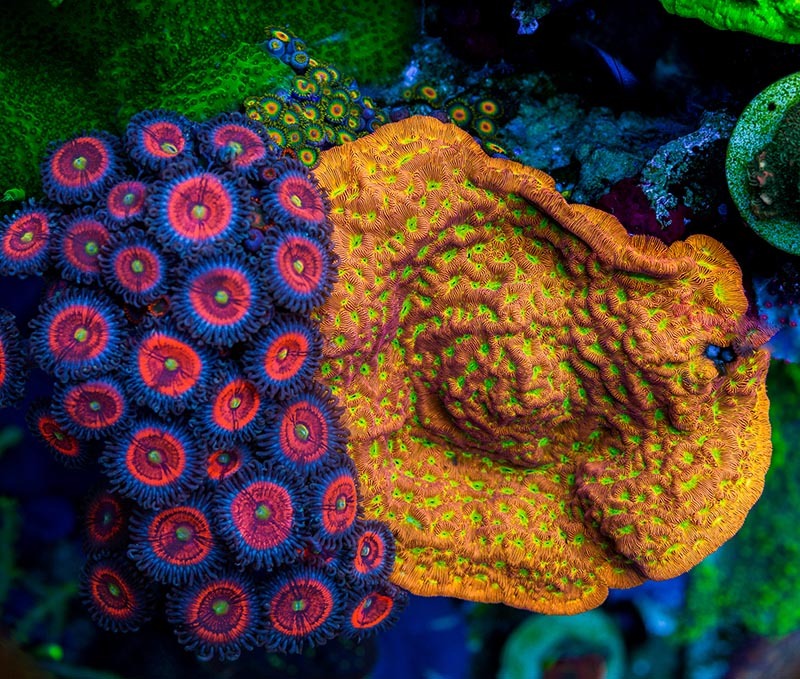 A beautiful combo: Jason Fox Everlasting Gobstopper Zoanthids at left, and Jason Fox Jack-o’-lantern Leptoseris at right. 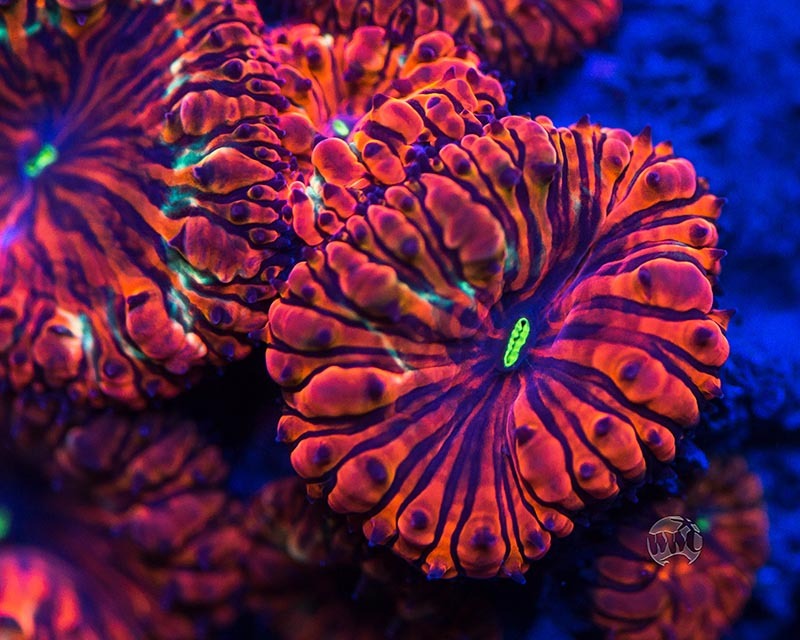 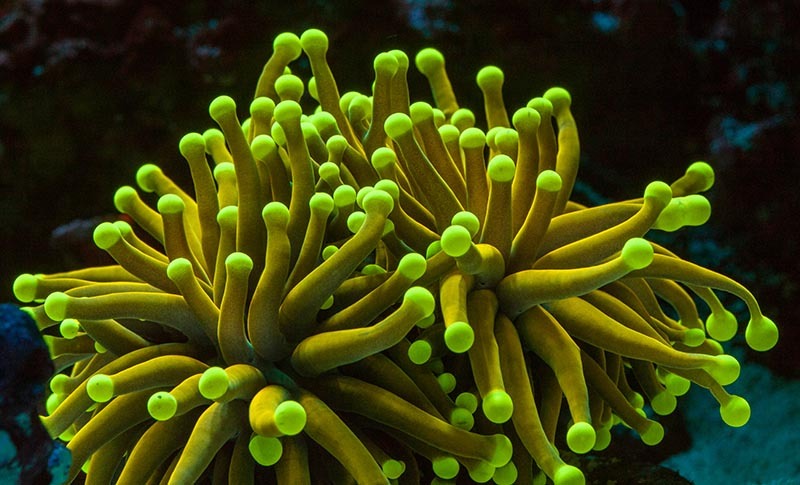 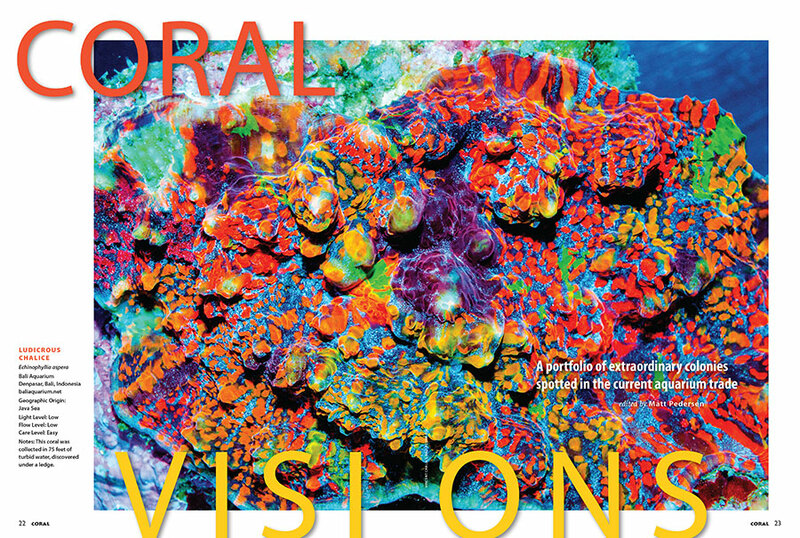 Notes: While the overall care for these Torch Corals is easy, achieving good and consistent color is very difficult.